Description:This single-family home is located on the beach-side of an island off the coast of North Carolina, with dynamic views of the Atlantic Ocean. Among other things, this area of North Carolina is characterized by its own special brand of regional modernism from the 1950s onward, spearheaded by architect Ligon Flynn, who designed many of the houses nearby. 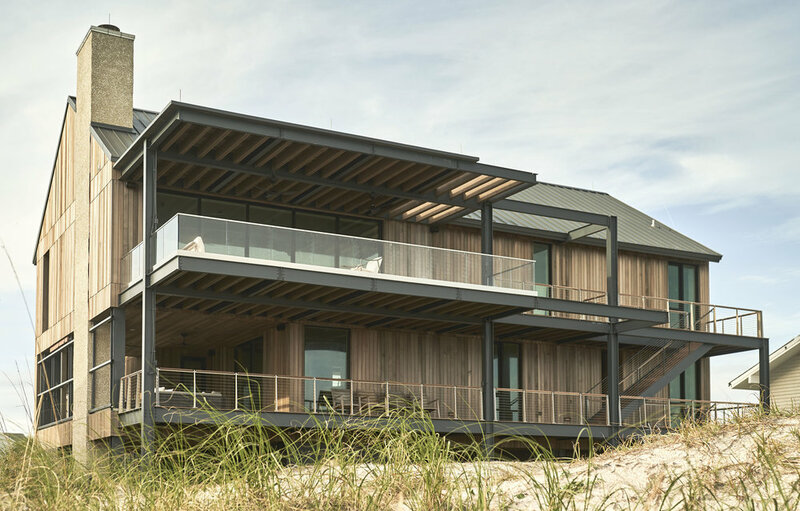 This project was informed by the geometric maneuvers of Flynn’s work, while seeking to adhere to strict coastal building codes. The structure is a galvanized steel frame, which allows for a series of large covered outdoor spaces and helps activate the front façade with voids and cantilevers. 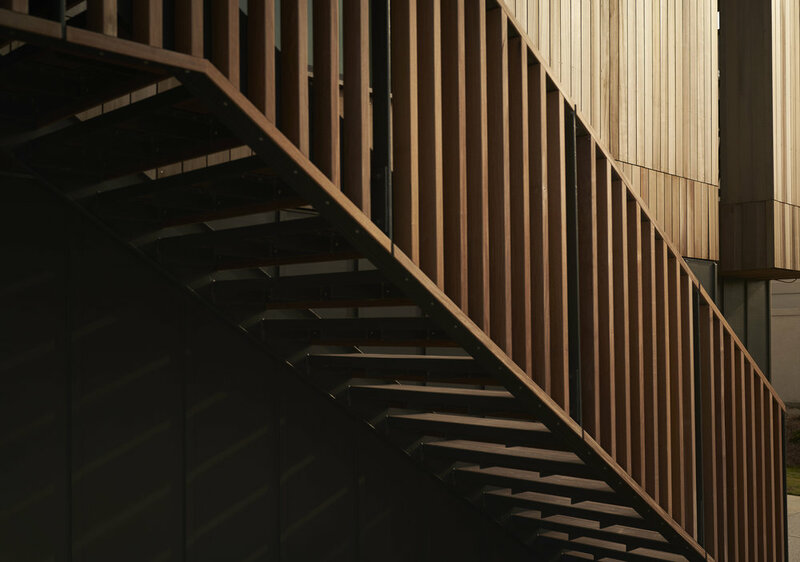 The upper volume of the exterior is clad in cedar, while the lower level is a dark cementitious material which aims to distinguish the flood-equipped ‘base’ from the rest of the house.